Blue Hill overlooking the Susquehanna River opposite Sunbury, Pennsylvania, c. 1905 (public domain). William McCullough Hendricks was survived by a large family, including his wife, children, parents, and all but two of his siblings. Shocked and saddened by the sudden, untimely passing of their beloved Bill in 1875, they soldiered on following his interment with military honors at Sunbury’s Pomfret Manor Cemetery. On Saturday afternoon last Mrs. Benj. Hendricks, an old and highly esteemed lady, residing on Walnut Street, this place, was shot through the arm by a boy through carelessness…. A lame boy, named George Wilver, residing on Third street, has been in the habit of shooting at mark, in the lot back of his mother’s, directly west of which is the rear or kitchen part of the Hendricks dwelling, fronting on Walnut street. He had been repeatedly warned by persons living in the neighborhood to leave off the dangerous practice. On Saturday, while Mrs. Hendricks was leaning over her cooking stove, engaged at her household duties, a ball came crashing through the east kitchen window, entering one arm a little below the elbow, and passing out on the opposite side, near the wrist; then, grazing the forehead of Miss Ella Hendricks, her granddaughter, it struck an opposite window, cracking the glass, and fell to the floor. The sudden shock caused Mrs. H. to faint. Miss Ella was considerably scared; she at once called Mr. M. L. [Martin Luther Hendricks] and Miss Minnie Hendricks, who were in another part of the house, and the old lady was brought to by means of camphor, &c.
The course of the ball was traced from the window at which it entered to the rear of the Wilver lot. On its way it passed through the eastern fence of the Hendricks property, the boards on one side and a window on the other, of a wash house in the yard, and the kitchen window above mentioned. A paper target and a number of bullet holes were found in the Wilver fence, leaving no doubt that the shot was fired by the boy above referred to. The wound, though serious, is not likely to produce a fatal result. Mrs. Hendricks is being cared for by Dr. Shindel. Anna Maria (Shindel) Hendricks did survive that wound, but the Hendricks family matriarch passed away nearly two years to the date of her shocking injury – in Sunbury on 9 December 1877. She was followed in death by Hendricks family patriarch and former Sunbury Borough Council member, Benjamin Dewees Hendricks, who died on 20 September 1883 on the grounds of the plantation he had purchased in Port Royal, Caroline County, Virginia after the Civil War. He had relocated there to reside with his son, Jacob, who had been engaged in farming the $3,000 property since its purchase. * Note: In 1865, Jacob Hendricks employed a former slave by the name of Hall through contract with the U.S. Freedmen’s Bureau. In 1895, he was appointed “postmaster at Delos, Caroline county, Va.,” a position he held until his resignation in 1896, according to the 26 April 1895 and 3 December 1896 editions of the Alexandria Gazette. Still unmarried by 1900, J. S. Hendricks then employed 40-year-old black Virginia native, Sally Gaymer (alternate spelling “Grymes”), as his housekeeper and cook in 1900. Also residing at the home at the turn of the century was a two-year-old black child, Mary B. Pickett, a native of Virginia. As of 1910, both Sally Gaymer (spelled as “Grymes”) and Mary B. Pickett were shown as residing at Jacob’s home. Mary was described on the 1910 federal census as “girl raised,” and documented as being able to read and write because she had attended school. (Sally had not been afforded the same opportunities, however, and still could not read or write as of 1910.) Continuing to reside at Port Royal until his own death there, J. S. Hendricks passed away on 23 November 1911. His remains were then transported home to Sunbury in Northumberland County, Pennsylvania, where they were interred at the same cemetery where his parents had been laid to rest – Pomfret Manor. Nothing further is known at this time regarding the lives of Hall, Sally Gaymer/Grymes or Mary Pickett, but researchers are continuing their search for records to document their life stories. At the time of the federal census in June of 1880, William Hendricks’ widow Elizabeth was still residing in Sunbury’s East Ward; that same month, she filed for a Civil War Widows’ Pension – financial support which was ultimately granted, and helped her support daughters “Alice” (Mary Alice, aged 19), Emma (aged 14), “Annie” (Anna, aged 12), “Evie” (Eva, aged 11), Sallie B. (aged 8), and “Lizzie” (Elizabeth W., aged 6), who were all still living at home with her during the 1880s. On 7 February 1890, William Hendricks’ older brother and former Streets Commissioner for the Borough of Sunbury, Samuel Shindel Hendricks, also passed away in the family’s hometown. A farmer during the 1860s and tanner during the 1870s, he had raised eight children with his wife Anna: William B. (1855-1884), Alice M. (1857-1858), Susan Ann (1864-1881), Elizabeth (1866-1900), and George Milton (1873-1942). Like his parents and brother before him, he was interred at the Pomfret Manor Cemetery. That same year, on 8 September 1890, William M. Hendricks’ daughter Anna wed John A. Morris, a son of Judson and Elizabeth Morris, in Northumberland County, Pennsylvania. The ceremony was officiated by the Rev. J. H. Weber. Daughter Eva then married sometime in late 1891 or early 1892, taking the married surname of Sherman. She and her husband then greeted the arrival of their son Charles in December 1892. And daughter Sarah also wed, marrying Stewart Kauffman sometime around 1895 and greeting the arrival with him roughly two years later of daughter Helen. By the time of the 1900 federal census, the Hendricks household at 337 Chestnut Street in Sunbury included family matriarch Elizabeth (aged 64) and daughter Emma (aged 32), as well as daughter Eva (aged 29), who was residing at the home with her son Charles Russell (aged 7), but without her husband. Market day, Sunbury, Pennsylvania, c. 1905 (public domain). Still residing at 337 Chestnut Street in Sunbury by the time of the 1910 federal census were the same Hendricks family grouping: matriarch Elizabeth (aged 73), daughter Emma (aged 43), daughter Eva (aged 40), and Eva’s son Charles Russell Hendricks (a 17-year-old “caller” for the railroad). Residing nearby at 341 Chestnut Street were Elizabeth’s 38-year-old daughter, Sarah B. (Hendricks) Kauffman, and her husband, Stewart R. Kauffman, a 39-year-old locomotive engineer, and their 13-year-old daughter, Helen. On 19 May 1915, William M. Hendricks’ widow, Elizabeth A. (Bright) Hendricks followed him in death, passing away in Sunbury. She, too, was laid to rest at the Pomfret Manor Cemetery. Afterward, daughter Emma L. Hendricks moved in with her sister, Sarah B. (Hendricks) Kauffman, and her family. By 1920, Emma Hendricks was still living at the home of her sister Sarah and brother-in-law Stewart, as well as their 22-year-old daughter Helen. They resided at 152 South Fourth Street in Sunbury. Stewart Kauffman was employed as a crossing watchman for the railroad while Helen was employed as a saleswoman for a local jewelry store. They remained together as a family, residing once again on Chestnut street in Sunbury by the time of the 1930 federal census. Both Stewart and Helen Kauffman were still employed in their respective positions of railroad watchman and merchant with Fisher’s Jewelry while Emma Hendricks had taken on work as a servant for private families. Before the middle of this decade was over, however, this family grouping was no more. Sarah B. (Hendricks) Kauffman passed away during or before 1935. The records for the federal census of 1940 documented that her widowed husband, Stewart Kauffman (aged 69), had retired from his railroad job and was living alone in Sunbury with their unmarried daughter Helen (aged 48), who was still employed in jewelry sales. This same record documented that Stewart had resided in Uniontown, Mifflin County, Pennsylvania in 1935 while Helen had resided in Millersburg, Dauphin County. Meanwhile, Emma L. Hendricks, aged 71, was living alone at 249 Pine Street in Sunbury, where she had resided since at least 1935, according to the census. She never married, but did live a long full life, becoming the final surviving member of William M. Hendricks’ immediate family. She passed away in Sunbury, Northumberland County on 22 September 1949. Elderly Resident of County Seat Expires. Miss Emma Hendricks, 83, Sunbury, member of a family identified with Northumberland County since 1775, died yesterday after an illness of several years. She was of the fifth generation of the Hendricks family, descendants of Samuel Hendricks, early county settler, who owned the farm on which Fort Augusta, Sunbury, is located. Miss Hendricks was the last member of the historically known family. To learn more about Emma Hendricks’ brother, William McCullough Hendricks, the original subject of this biographical sketch, read part one of his profile. 3. Emma Hendricks, in Elderly Resident of County Seat Expires. Shamokin, Pennsylvania: Shamokin News Dispatch, 23 September 1949. 4. Hendricks Family, in Genealogical and Biographical Annals of Northumberland County Pennsylvania, Containing a Genealogical Record of Representative Families, Including Many of the Early Settlers, and Biographical Sketches of Prominent Citizens, Prepared from Data Obtained from Original Sources of Information. Chicago, Illinois: J. L. Floyd & Co., 1911. 5. Hendricks Family Birth Records (Benjamin Hendricks), in Pennsylvania Births and Christenings, 1709-1950 (Rows or Salem Lutheran Church, Penn Township, Snyder County, Pennsylvania, FHL microfilm 924,005). Salt Lake City, Family History Library, 26 September 1811. 6. Hendricks Family Marriage Records (Anna M. Hendricks and John A. Morris), in Pennsylvania Marriages, 1709-1940 (Northumberland County, FHL microfilm 961,094). Salt Lake City, Utah: Family History Library, 1890. 7. Hendricks Family Media Coverage. Sunbury, Pennsylvania: Sunbury American, 1840-1880. 8. Hendricks, William M., in Civil War Veterans’ Card File, 1861-1866. Harrisburg, Pennsylvania: Pennsylvania State Archives. 10. U.S. Census. Washington, D.C., Pennsylvania and Virginia: 1840, 1850, 1860, 1870, 1880, 1900, 1910, 1920, 1930, 1940. 11. William Hendricks and Elizabeth Bright, in Marriages. Sunbury, Pennsylvania: Sunbury American, Saturday, 21 April 1860. 12. Wm. M. Hendricks, in Borough Election (also Election or The Borough Election). 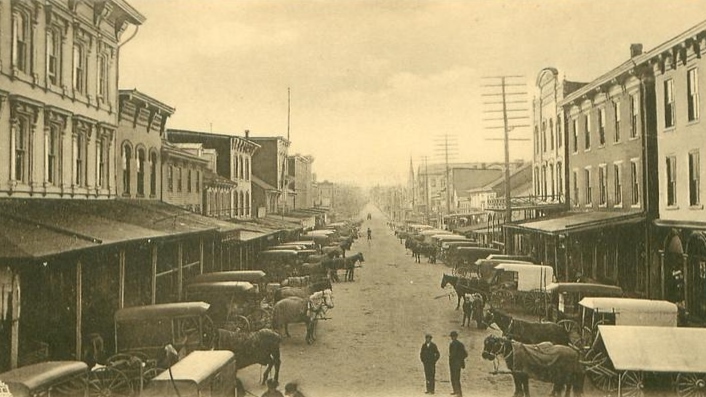 Sunbury, Pennsylvania: Sunbury American, 23 March 1861, 23 February 1867, and 20 February 1874. 13. Wm. M. Hendricks, in Court Proceedings (notice of his assistance in transporting prisoners to the penitentiary in Philadelphia). Sunbury, Pennsylvania: Sunbury American, 17 August 1872. 14. Wm. M. Hendricks, in In Memoriam (tribute resolutions by the 47th Pennsylvania Volunteers upon Hendricks’ death). Sunbury, Pennsylvania: Sunbury American, 18 June 1875. 15. Wm. M. Hendricks, in Local Affairs (notice of Governor’s appointment of James Beard to take over William Hendricks’ job as Justice of the Peace, following Hendricks’ death). Sunbury, Pennsylvania: Sunbury American, 2 July 1875.